Memorial: preserving the memory of a person or thing; commemorative. 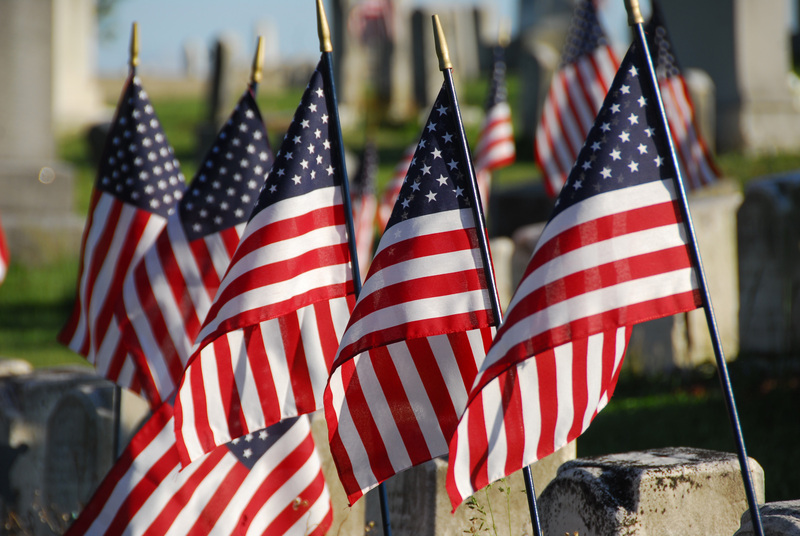 Memorial Day is not just the beginning of the summer holidays. It’s not just another three-day weekend when we get to sleep in or catch up on yard work. It’s not just a time to gather with friends and family for a cookout. It’s about remembering. Remembering how much our freedom cost. Because freedom is never free. It is costly, expensive. The price is the lives of men and women who laid down their all. My grandfather was a World War 1 veteran. My father and my father-in-law were WW2 veterans. I have family members and friends who served in the military. And I have a young friend who is in boot camp right now. I’ve heard stories of sacrifice and of being away from home and hearth and all that is familiar. I’ve watched the news as flag-covered caskets were lowered out of airplanes, rolled into halls where mourners came to pay their last respects. Did I even consider that this life was an exchange for mine? When I see the veterans march in parade or stand to salute the flag my admiration for them swells and tears fill my eyes sometimes. They have sacrificed in a way in which I am not acquainted. This morning I sit in my home with the freedom to choose how I will spend this day. I am not concerned about bombs or military forces coming to take me captive. I can travel through multiple states to visit my family-too-far-away. I can attend the church of my choice. I can vote my conscience. I can carry a weapon to defend my self. I can work and earn a wage. I can go to college and pursue my calling and my dreams. I can shop where I want. I can get to a doctor or a hospital and expect good treatment. I can write words on the world-wide web. My freedom is precious. I value living in the United States of America. She has her problems, no doubt, but her flag waves red, white and blue because of people who gave the ultimate for me. The living and the dead. They served their country. They served me. And I will not forget.